Contest may only be entered in or from the 50 United States (excluding Arizona, Connecticut, Maryland, and North Dakota), the District of Columbia, and Canada (excluding Quebec) and entries originating from any other jurisdiction are not eligible for entry. This Contest is governed exclusively by the laws of the United States and Canada. .
(i) Own or have access to NBA 2K16 (“Game”). -If playing on XBO: a Gamertag and Xbox Gold Service. -If playing on PS4: PSN ID and PS Plus service. (iii) Log on to his/her 2K “MyPLAYER” account (which is free) (“2K Account”). (iv) Create a Team by selecting at least two (2) team members (each a “Team Member”) to participate in a GameDay game (each a “Qualifying Game”). Team/Team Owner can enlist up to four (4) Team Members, all of whom must meet the eligibility requirements set forth in Section 2. Participation requires three (3) to five (5) players per Team. If there are less than five (5) players, A.I. (computer-generated) players will fill out the Team as necessary. (v) Play the Qualifying Game in Pro-Am Mode as a Team. (vi) Win a “Qualifying Game” against four (4) other Teams (“Qualifying Wins”) during that GameDay. All Teams will be matched with one-on-one blind opponents. Only Team Owner’s best four (4) “Qualifying Wins” will contribute to the Team/Team Owner’s best 4-Game point total (“Point Total”) on the Leaderboard. The Team/Team Owner with the best 4-Game Point Total based on the Leaderboard at the end of each GameDay will be that Game Day’s Winner (subject to confirmation) and will be eligible for the Tournament. Teams/Team Owners may only play as one Team and on one account/Gamertag/PSN ID per GameDay, but can play multiple Qualifying Games throughout GameDay as the same Team/Team Owner. Teams/Team Owners suspected of using multiple accounts/Gamertags/PSN IDs to play as multiple Teams or via multiple platforms throughout the GameDay will be subject to disqualification. While a Team/Team Owner must enlist at least two (2) Team Members to play a Qualifying Game, only the Team/Team Owner will be considered the “entrant” whose Point Total will be reflected on the Leaderboard and only the Team/Team Owner will be eligible to advance to the Tournament. While a Team/Team Owner can play with different Team Members throughout a GameDay, only the Team/Team Owner’s Qualifying Wins and Leaderboard Point Total will be considered in the Contest and only the Team/Team Owner will advance to the Tournament. All aspects of this Contest are subject to these Official Rules. 2. Eligibility. Participation open only to legal residents of the 50 United States (excluding Arizona, Connecticut, Maryland, and North Dakota), the District of Columbia, and Canada (excluding Quebec), who are 13 or older as of date of entry. Void in Arizona, Connecticut, Maryland, North Dakota, and Quebec and where prohibited, taxed or restricted by law. Employees, officers and directors of 2K Games, Inc. (“Sponsor”), NBA Properties, Inc., the National Basketball Association and its member teams (collectively “the NBA Entities”), Microsoft, Sony Computer Entertainment America LLC, Twitch Interactive, Inc., Valve Corporation (collectively, the “Sponsor Parties”) and their respective parent companies, subsidiaries, affiliates, partners, advertising and promotion agencies, manufacturers or distributors of Contest materials and their immediate families (parents, children, siblings, spouse) or members of the same household (whether related or not) of such employees/officers/directors are not eligible to enter. Subject to all applicable federal, state and local laws and regulations. 3. Qualifying Contest Rounds. The Preseason of the Contest will take place on January 30, 2016 and February 6, 2016. Preseason games will not count as Qualifying Games for the Contest. The Qualifying GameDays will take place in accordance with the Contest Schedule below. The first Qualifying GameDay begins on February 15, 2016 at 9:00:00 am Pacific Time (“PT”) and ends at 9:00:00 pm PT (“First GameDay”) and the last Qualifying GameDay begins on May 8, 2016 at 9:00:00 am Pacific Time (“PT”) and ends at 9:00:00 pm PT (“Last GameDay”). There will be a total of sixteen (16) Qualifying GameDays for both XBO and PS4. To advance to the Tournament, Team/Team Owner must have four (4) Qualifying Wins against four (4) other Teams and have the best 4-Game Point Total on the Leaderboard for that GameDay. Live Championship scheduled to take place at a location in the United States to be determined by Sponsor in its sole discretion. 4. Leaderboard Point Total/Qualifying Games/Wins/Ties/Game Play. Leaderboard Point Total: Teams/Team Owners will receive Points for each Qualifying Win based on a combination of Teammate Grade, Game Statistics, and Game Score. A.I. Team Members will contribute a teammate grade of C. Each GameDay requires four (4) Qualifying Wins to qualify for that GameDay and to appear on the Leaderboard. Only the top four (4) Qualifying Wins for which play is commenced and completed in accordance with these Official Rules shall count toward Team/Team Owner’s best 4-Game Point Total on the Leaderboard. If a Team/Team Owner has more than four (4) Qualifying Wins, the Team/Team Owner’s lowest Point Total will be dropped from the Team’s/Team Owner’s Point Total on the Leaderboard. Each Team/Team Owner will appear only once on the Leaderboard per GameDay, regardless of the number of Qualifying Wins on that day. Qualifying Games/Wins: All Qualifying Games must be played in 5 minute quarters Superstar difficulty and Simulation Game Style. Only games started and completed within the scheduled times will qualify as a Qualifying Game. Once a game has started, Team/Team Owners that do not complete the game will be credited with a loss. The #1 Ranked Team/Team Owner at the conclusion of each GameDay will advance to the Tournament (subject to confirmation and compliance with these Rules). A Team/Team Owner may win multiple GameDays but will receive only one spot in the Tournament. (i) Team win percentage during that GameDay. (ii) Total game points scored. (iii) Fewest game points allowed. If there is still a tie after applying the above-referenced criteria, the winner will be determined based on another skill-based criteria determined by Sponsor in its sole discretion. Game Play/Disqualification: Teams can be disqualified for that GameDay if Sponsor detects that Team/Team Owner and all Team Members did not complete the match by quitting, powering down, disconnecting from the internet, being removed for an F teammate grade or excessive penalties. For clarity, if the Team/Team Owner and all Team Members disconnect, the Team/Team Owner and all Team Members will be disqualified and banned from that Game Day. A ban would eliminate Team/Team Owner and all Team Members from participating as a Team/Team Owner or a Team Member for any further Qualifying Games on that GameDay. In the event that Team/Team Owner and all Team Members disconnect from the server at any point during a Qualified Game, that Team/Team Owner will be deemed the loser of that Qualifying Game, regardless of whether such disconnection is intentional and/or is the fault of the disconnecting Team/Team Owner and his/her statistics for that Qualifying Game will not count (though the winning Team’s statistics will count for that Qualifying Game). 5. Notification/Team Confirmation: At the conclusion of each GameDay, Sponsor will attempt to contact the Teams/Team Owners of the top five (5) Ranked Teams via email using the address provided by Teams/Team Owner when signing up for a 2K Account, through in-game messaging and/or through console UI. Teams/Team Owners will be required to respond to Sponsor’s request within five (5) calendar days notification unless Sponsor has designated another time frame. If the #1 Ranked Team/Team Owner on the Leaderboard does not respond within the time frame designated by Sponsor or does not comply with these Official Rules, the Team’s/Team Owner’s Tournament spot may be forfeited and Sponsor may award the spot to next highest ranked Team/Team Owner on that GameDay’s Leaderboard (time permitting). The winning Team/Team Owner will be required to provide Sponsor with a final list of the Team Members for his or her Tournament Team within five (5) calendar days of notification unless Sponsor has designated another time frame. It is the winning Team/Team Owner’s responsibility to provide Sponsor with the final list of Tournament Team Members within the time frame designated by Sponsor. If the Team/Team Owner does not provide Sponsor with the final list of Team Members in the time frame designated by Sponsor or does not otherwise comply with these Official Rules, the Team’s/Team Owner’s Tournament spot may be forfeited and Sponsor may award the spot to the next highest ranked Team/Team Owner on that GameDay’s Leaderboard (time permitting). Upon verification by Sponsor and compliance with these Official Rules, the #1 Ranked Team/Team Owner on the Leaderboard for that GameDay will be officially deemed the winner of that GameDay (“GameDay Winner”). If a Team/Team Owner is a GameDay Winner more than once, the Team/Team Owner will only receive one (1) spot in the Tournament, which will be determined based on the GameDay Winner’s highest Points Total. In such event, the #1 Ranked Team/Team Owner will be the GameDay Winner only for the GameDay for which the Team/Team Owner received the higher Points Total and that Team/Team Owner will not receive a spot in the Tournament for the GameDay in which the Team/Team Owner received the lower Points Total, as this spot will be awarded to the next highest ranked Team/Team Owner on that GameDay’s Leaderboard (subject to confirmation). 6. The Tournament. The sixteen (16) GameDay Winners will compete in the Tournament scheduled to take place on May 21, 2016. GameDay Winners will be seeded in the Tournament Bracket based on the best 4-Game Point Total. There will be separate 16-bracket Tournaments for XBO and for PS4 GameDay Winners. Tournament Teams: All GameDay Winners must designate four (4) Team Members to play on their Tournament Team by the date designated by Sponsor (each a “Tournament Team”) as set forth in Section 5 throughout the Tournament. The same Team Member may not be designated by different GameDay Winners to play on multiple Tournament Teams. the GameDay Winner (Team Owner) is unavailable for the Tournament, the Tournament spot will be forfeited and awarded to the next highest ranked Team on that GameDay’s Leaderboard (time-permitting). If a designated Tournament Team Member is unavailable for the Tournament (after designation), the Tournament spot may be forfeited and awarded to the next highest ranked Team on that GameDay’s Leaderboard (time-permitting), as determined by Sponsor in its sole and absolute discretion. Replacement decisions based on forfeitures shall be determined by Sponsor in its sole and absolute discretion. Tournament Bracket: The sixteen (16) Tournament Teams will be placed in the Tournament Brackets for each platform (XBO and PS4) and will compete against the other Tournament Teams in their Tournament Bracket in single-elimination format. The sixteen (16) Tournament Teams will be seeded in their respective Tournament Brackets based on the best 4-Game Point Total and will participate in a single-elimination Tournament based on their seed. Regular Contest Tiebreakers (as defined in Section 4) will be used. The winning Tournament Team of each Tournament Game advances to the next round of their Tournament Bracket. The losing Tournament Team of each Tournament Game is eliminated from the Contest. The ultimate winning Tournament Team of each Tournament Bracket (XBO and PS4) will be eligible to advance to the Contest Finals to take place at a location to be determined in the United States by Sponsor in its sole discretion on or about June 10, 2016. All Tournament and Final schedules are subject to change even on a scheduled game day. It is each player's responsibility to frequently check the Site to be informed of any updates to the Tournament and Final schedules. ALL POTENTIALLY WINNING TOURNAMENT TEAMS AND FINALISTS MUST BE VERIFIED BY SPONSOR TO ENSURE ELIGIBILITY PRIOR TO BEING DECLARED A WINNER AND/OR RECEIVING ANY PRIZE. Sponsor reserves the right, in its sole and absolute discretion, to conduct background checks on potential Finalists and their Team Members and, for Canadian residents, to ensure that they are able to cross border if selected. Failure to comply with such search may result in disqualification of a potential Finalist Team, Team Owner and/or any of their respective Team Members (as applicable) and may result in selection of an alternate (time permitting). Sponsor also reserves the right, in its sole and absolute discretion, to disqualify a potential Finalist or Team Member based on the results of such background check, if the Sponsor determines, in its sole and absolute discretion, that awarding this opportunity to such potential Finalist or Team Member might reflect negatively on the Contest, Sponsor, and/or the NBA Entities. Factors that may result in disqualification of a Finalist or a Team Member, include, without limitation, conviction of a felony or misdemeanor, or any other criminal or civil offense as determined in the sole and absolute discretion of the Sponsor or, if Sponsor determines, in its sole and absolute discretion, that awarding a prize to such individual may reflect unfavorably on the Contest, Sponsor, and/or the NBA Entities. 7. Contest Finals. The two (2) winning Teams/Team Owners of each Tournament Contest Bracket (XBO and PS4) (each a “Finalist”) will advance with their respective Team Members (each a “Finalist Team Member”) to the Contest Finals to take place in a location in the United States to be determined by Sponsor in its sole discretion on approximately June 10, 2016 (tentative date). If a Finalist is unavailable for the Finals, the Finalist spot will be forfeited and awarded to the Tournament Runner-up in Finalist’s Tournament Bracket (time-permitting). If a Finalist Team Member is unavailable for the Finals, the Tournament spot may be forfeited and awarded to the Tournament Runner-up based on Sponsor’s sole and absolute discretion (and time-permitting). Replacement decisions based on forfeitures shall be determined by Sponsor in its sole and absolute discretion. he Contest Finals will be conducted in single elimination format with the winning Team being crowned the Contest Champion (subject to confirmation and compliance with these Official Rules). 8. Contest Play. Teams/Team Owners and Team Members must strictly adhere to all game play guidelines and these Official Rules or risk the possibility of disqualification. Teams/Team Owners and Team Members must conduct themselves in a sportsmanlike manner, maintaining a friendly and polite demeanor to competitors and to other participants of the Contest. Teams/Team Owners and Team Members who engage in unsportsmanlike, disruptive, annoying, harassing or threatening conduct or violate any rule, gain unfair advantage in participating in the Contest, or obtain winner status using fraudulent means, in Sponsor’s sole discretion, will be disqualified. Sponsor will interpret these Rules and resolve any disputes, conflicting claims or ambiguities concerning the Rules or the Contest and the Sponsor’s decisions concerning such disputes shall be final. Sponsor may prohibit a Team/Team Owner or Team Member from participating in the Contest or winning a prize if, in its sole discretion, Sponsor determines that said Team/Team Owner or Team Member is attempting to undermine the legitimate operation of the Contest by cheating, hacking, deception, or other unfair playing practices (including the use of automated quick entry programs) or intending to annoy, abuse, threaten or harass any other players or Sponsor’s representatives. Contest Administrators, in their sole discretion, reserve the right to change the score or points of a Contest game. This decision could be made based on the Administrator’s judgment that the game reported the result incorrectly or the players tampered with the game software or hardware to manipulate the reported points or score. 9. Contest Prizes. The Finalist Team Owners and the Team Members of both Finalist Teams (collectively, “Finalist Winners”) will receive a trip to the Contest Finals (“Contest Prize”), which, at a minimum, consists of a two (2) day/two (2) night trip to a location in the United States to be determined by Sponsor in its sole discretion to compete in the Contest Finals. Trip includes round-trip coach airfare from major gateway airport near Finalist Winners’ residences and single occupancy hotel accommodations (except if Finalist Winner is a minor and then double occupancy hotel accommodations). Finalist Winners must travel on a date determined by Sponsor in its sole and absolute discretion, which is expected to be between June 1, 2016 to June 30, 2016, or on other dates designated by Sponsor, or prize may be forfeited. Failure to appear at the Contest Finals on dates and times designated by Sponsor will result in forfeiture of prize and disqualification from Contest, all as determined by Sponsor in its sole and absolute discretion. In the event of forfeiture, no compensation will be provided. If a Finalist Winner is considered a minor in his/her jurisdiction of residence, Finalist Winner must be accompanied by his or her parent or legal guardian. Finalist Winner and parent or legal guardian (if a minor) must travel on the same itinerary and guest must sign travel/liability/publicity release prior to ticketing. In order to attend the Contest, Finalist Winners and any guests (if applicable) must agree to sign such release and to be videotaped, photographed, streamed and recorded by Sponsor Parties. Approximate Retail Value of each Finalist Contest Prize: $1000 (US Dollars)/$1,410 CDN, but actual value may vary depending on air flight fluctuations, distance between departure and destination. Finalist Winners will not receive difference between actual and approximate retail value. Limit one (1) Contest Prize per person. 10. Grand Prize: The Contest Champion Team that wins the Contest in accordance with these Official Rules, as determined by Sponsor in its sole and absolute discretion, will receive two hundred and fifty thousand dollars $250,000 (U.S.)/$350,000 CDN (“Grand Prize”), which will be divided by Sponsor amongst the five (5) members of the winning Team (each a “Grand Prize Winner”). The Grand Prize will be awarded to each Grand Prize Winning Team in a lump-sum payment, and may be awarded via check or wire transfer in Sponsor’s sole and absolute discretion. Each Grand Prize Winner will also receive a trip to one (1) game (“Game”) of the NBA Finals (“NBA Ticket Prize”). To accept the NBA Ticket Prize, each Grand Prize Winner will be required travel to the location of the Finals for the Game shortly after the Contest and will receive a two (2) day/two (2) night trip to such location, which includes airfare from major gateway airport near Contest location (as well as for the parent or legal guardian of any Grand Prize Winner who is the minor and Grand prize winner and minor must travel on the same itinerary), single occupancy hotel accommodations (except if Grand Prize Winner is a minor and then double occupancy hotel accommodations), and one (1) ticket to the NBA Finals Game (except if Grand Prize Winner is a minor and then an additional ticket will be provided for parent or legal guardian). Grand Prize Winner must travel on a date determined by Sponsor in its sole and absolute discretion or the NBA Ticket Prize may be forfeited, in Sponsor’s sole discretion. Grand Prize Winner may be required to stay additional days in the location of the Contest or the NBA Finals game area (accommodations provided by Sponsor) and participate in certain public relations events, as determined by Sponsor in its sole and absolute discretion. Approximate Retail Value of the Grand Prize is $256,500 US/$360,000 CDN, but actual value may vary depending on air flight fluctuations, distance between departure and destination. Grand Prize Winner and Finalist Winners will be referred to herein each as a “Winner” or collectively as “Winners”. TICKET PRIZE: The terms and conditions of the tickets awarded will govern if the Game does not take place due to weather, an act of God, threat or act of terrorism, civil disturbance or any other reason. Game tickets are subject to certain terms and conditions. Seat locations will be determined by the Sponsor. The Released Parties (defined below), and/or any other relevant party, reserve the right to remove or to deny entry to any Winner or guest who engages in a disruptive manner, or with intent to annoy, abuse, threaten, or harass any other person at the Game. Cash cannot be substituted for any ticket prize unless otherwise agreed by the Sponsor. Unused tickets cannot be refunded, exchanged for cash or applied towards tickets for any subsequent years. No responsibility is assumed by the Released Parties for any cancelled, rescheduled, delayed or postponed Event. MINOR PRIZE: If Grand Prize Winner is a minor in his or her jurisdiction of residence, Sponsor may make payment with respect to the monetary Grand Prize to such minor by depositing the amount of the prize in any bank to the credit of any adult member of the minor’s family or guardian of the minor as custodian for such minor in accordance with the provisions of the Uniform Transfers to Minors Act as adopted in the state where the adult resides or where the account is opened (or, if Grand Prize Winner is a Canadian resident, any analogous act or statute under Canadian law). In such event, Sponsor shall be discharged of all further liability upon payment of prizes to a minor in accordance. Sponsor may withhold prize payment until satisfactory evidence, including, but not limited to, notarized statements, or other evidence of family relationship, guardianship, custodianship, or other matter deemed appropriate, is established on behalf of the minor. FOR ALL TRIP PRIZES: Taxes, meals, gratuities, travel upgrades, or any other expenses not specifically listed herein are the responsibility of the Winner. Travel and accommodations subject to availability; certain restrictions and blackout dates may apply. Sponsor and the other Released Parties are NOT liable for delays, cancellation or unforeseen events related to the flights. Winners and parent or legal guardian (if a minor) will be solely responsible for obtaining valid identification (e.g., passports) relating to acceptance and use of the travel prize packages. Winners and parent or legal guardian (if a minor) will be solely responsible for obtaining valid identification relating to acceptance and use of the travel prize packages. If in the judgment of Sponsor, air travel is not required due to Winner’s proximity to prize location, ground transportation will be substituted for roundtrip air travel at Sponsor’s sole and absolute discretion. Winners will not receive difference between actual and approximate retail value. Sponsor will not replace any lost or stolen prize and/or any lost, mutilated or stolen tickets, travel vouchers or certificates. FOR ALL PRIZES: Approximate Retail Value of all prizes combined: $266,500 US/$375,000 CDN. All Winners will be required to complete and return documents, including an Affidavit/Declaration of Eligibility and Liability/Publicity release and rights transfer document, and appropriate tax forms to receive the prize. If a Winner is considered a minor in his/her jurisdiction of residence, his/her parent or legal guardian will have to execute the required documents. As a condition of awarding a prize, Winner will be required to execute the Affidavit/Declaration of Eligibility and Liability/Publicity and return to Sponsor within the time frame designated by Sponsor. Failure to return such documents in the time frame required by Sponsor may result in forfeiture of prize. Winners are responsible for ensuring return of all required materials; proof of sending will not be considered proof of receipt by Sponsor. 12. General Release. BY PARTICIPATING IN THE CONTEST, ALL PLAYERS (AS WELL AS THEIR PARENT OR LEGAL GUARDIAN IF A MINOR), TEAM OWNERS, TEAM MEMBERS, AND WINNERS RELEASE THE SPONSOR, THE NBA ENTITIES, ALL OTHER SPONSOR PARTIES, AND ANY OF THEIR RESPECTIVE PARENT COMPANIES, SUBSIDIARIES AFFILIATES, DIRECTORS, OFFICERS, EMPLOYEES, SPONSORS, AND AGENTS, INCLUDING ADVERTISING AND PROMOTION AGENCIES (“RELEASED PARTIES”), FROM ANY AND ALL LIABILITY, FOR LOSS, HARM, DAMAGE, INJURY, COST OR EXPENSE WHATSOEVER INCLUDING, WITHOUT LIMITATION, PROPERTY DAMAGE, PERSONAL INJURY AND/OR DEATH WHICH MAY OCCUR IN CONNECTION WITH, PREPARATION FOR, TRAVEL TO, OR PARTICIPATION IN CONTEST OR POSSESSION, ACCEPTANCE AND/OR USE OR MISUSE OF PRIZE OR PARTICIPATION IN ANY CONTEST-RELATED ACTIVITY AND FOR ANY CLAIMS BASED ON PUBLICITY RIGHTS, DEFAMATION, INVASION OF PRIVACY, COPYRIGHT INFRINGEMENT, TRADEMARK INFRINGEMENT OR ANY OTHER INTELLECTUAL PROPERTY-RELATED CAUSE OF ACTION, AND AGREE NOT TO MAKE ANY CLAIMS AGAINST THE RELEASED PARTIES IN RESPECT THEREOF, INCLUDING, WITHOUT LIMITATION (I) ANY CONDITION CAUSED BY EVENTS BEYOND SPONSOR'S CONTROL THAT MAY CAUSE THE CONTEST TO BE DISRUPTED OR CORRUPTED; (II) ANY INJURIES, LOSSES, ILLNESS, LITIGATION OR DAMAGES (COMPENSATORY, DIRECT, INCIDENTAL, CONSEQUENTIAL OR OTHERWISE) OF ANY KIND ARISING OR RESULTING, IN WHOLE OR IN PART, DIRECTLY OR INDIRECTLY, FROM THE AWARDING, DELIVERY, ACCEPTANCE, USE, MISUSE, POSSESSION, LOSS OR MISDIRECTION OF A PRIZE OR PARTICIPATION IN THIS CONTEST OR IN ANY ACTIVITY OR TRAVEL RELATED THERETO OR FROM ANY INTERACTION WITH, OR DOWNLOADING OF, COMPUTER CONTEST INFORMATION; AND (III) ANY PRINTING OR TYPOGRAPHICAL ERRORS IN ANY MATERIALS ASSOCIATED WITH THE CONTEST. Sponsor's decisions in all respects relative to the Contest are final. Each Winner’s acceptance of a prize constitutes the grant of an unconditional right for the Released Parties to use winner’s name, address (city and state/province/territory only), likeness, photograph, biographical and prize information and/or statements about the promotion for any publicity, advertising and promotional purposes without additional compensation, except where prohibited by law, and releases the Released Parties from any liability with respect thereto. 15. Disputes. Except where prohibited by law: (a) As a condition of participating in this Contest, players agrees that any and all disputes which cannot be resolved between the any of the Released Parties and player or his/her representatives, claims and causes of action arising out of or connected with this Contest, or any prizes awarded, or the determination of winners shall be resolved individually, without resort to any form of class action exclusively by arbitration pursuant to the commercial arbitration rules of the American Arbitration Association, then effective; (b) Further, in any such dispute, under no circumstances will player be permitted to obtain awards for, and hereby waives all rights to claim punitive, incidental or consequential damages, or any other damages, including attorneys' fees, other than player's actual out-of-pocket expenses (e.g., costs associated with entering this Contest), and player further waives all rights to have damages multiplied or increased; and (c) The arbitration shall be conducted in the State of New York, in the City of New York, County of New York, and judgment on the arbitration award may be entered into any court having jurisdiction thereof. 16. Governing Law and Jurisdiction. This promotion is governed by U.S. and Canadian law and is subject to all applicable federal, state and local laws and regulations. Void where prohibited by law. All issues and questions concerning the construction, validity, interpretation and enforceability of these Official Rules, or the rights and obligations of player and Sponsor in connection with this Contest, shall be governed by, and construed in accordance with, the laws of the State of New York without giving effect to the conflict of laws rules thereof, and any matters or proceedings which are not subject to arbitration as set forth in Disputes section of these Official Rules, shall take place in the courts of the State of New York, in the City of New York, County of New York. 17. Miscellaneous. The invalidity or unenforceability of any provision herein shall not affect in any way the validity and enforceability of any other provision in these Official Rules. 18. Winners List; Rules Request. For a copy of the winners’ list, send a stamped, self-addressed, business-size envelope before August 1, 2016 to Sponsor at the address listed below, Attn: The NBA 2K16 Winners List. To obtain a copy of these Official Rules, visit the Site or, by May 8, 2016, send a stamped, self-addressed business-size envelope to Sponsor at the address listed below, Attn: The NBA 2K16 Rules Request, 10 Hamilton Landing, Novato CA 94949. Canadian residents may omit return postage. Vermont residents may omit return postage for Official Rules. 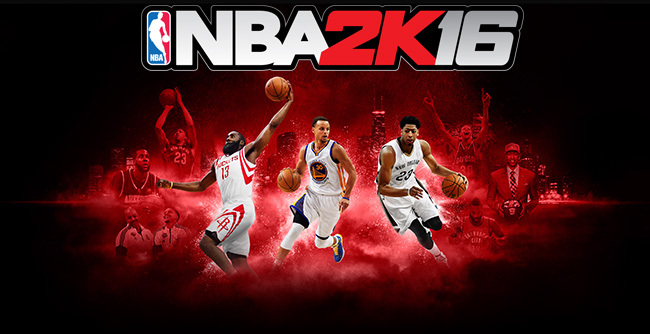 Sponsor: 2K Sports (“2K”), a wholly owned subsidiary of Take-Two Interactive Software, Inc. The Sponsor’s address is 10 Hamilton Landing, Novato, CA 94949, USA.